Summer's Almost Here: That Must Mean It's Time for a Dodgers Game! While today is the unofficial start of summer (Happy Memorial Day! 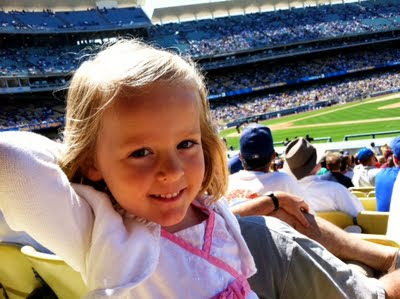 ), CC and I got a head start yesterday by watching the Los Angeles Dodgers trounce the Florida Marlins during a breezy, sunny afternoon at Dodger Stadium. Seated on field level, we had a great view of the action, as pitcher Clayton Kershaw allowed for only a single hit from the Marlin team and as the Dodger hits just kept on coming -- in a good way, with the final score being 8-0. It's been just over a year since we last visited our hometown baseball team, and I had forgotten just how fun and relaxing an afternoon at the ballpark can be. We snacked on a colorful snow cone and enjoyed clapping along with chants like, "Let's Go, Dodgers!" CC was particularly enthusiastic at times when even the crowd was relatively silent. My panoramic pic, taken with the Photosynth app. I have to admit that recent events involving assault victim Bryan Stow have given me some pause about taking CC out to the ballgame, but I was instantly reassured when I saw the sheer number of police officers out in force in the parking lot and in the stadium. And this was in the afternoon! In fact, CC noticed as well. "Why are there so many policemen and police girls here, Mommy?" "To keep us safe, Sweetheart," I answered. We definitely felt safe and can't wait to go back again. Lucky for families, there are tons of fun, kid-friendly events happening at Dodger Stadium. Most of them are planned for June, when the Dodgers will be playing at home from June 13-26. * $5 Kids' Tickets -- With the purchase of every full-priced adult ticket on the Field or Loge level, you can buy two $5 kids' tickets in the same section. 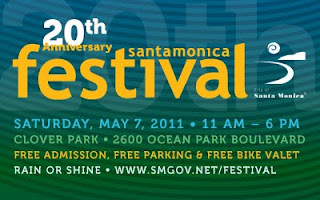 * Kids' Discount -- Kids ages 4-12 can get a $20 LFP ticket for $10 or a $15 Top Deck ticket for $7. * Giveaways Just for Kids -- The Dodgers will give away backpacks on August 14 and lunchboxes on August 28. * Viva Los Dodgers -- Families can enjoy a pre-game concert, games and prizes at games on June 19, 26, July 10, 24, 31, August 14 and 28. 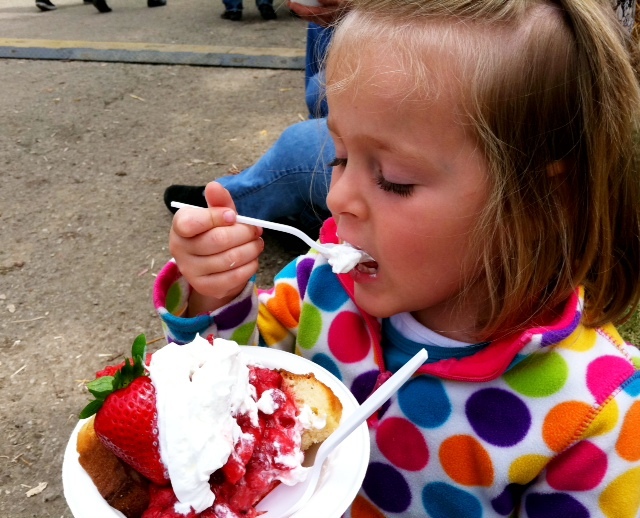 * Half-Price Food & Drink Days -- Families can get a hefty discount on treats on June 15, 22, August 10 and 31. For more Dodger specials, visit www.dodgers.com/specials. Custom-made superhero capes and accessories for kids and adults. Your voucher is good for $35 worth of customer capes and masks for just $17. Be sure to check out their superhero blaster cuffs and wristbands to complete the crime-fighting look. 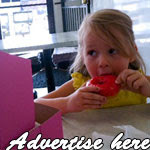 PowerCapes is family owned and operated, and all of the products are made right here in the USA. And, at 51% off, you'll be able to outfit all of your little heroes easily! 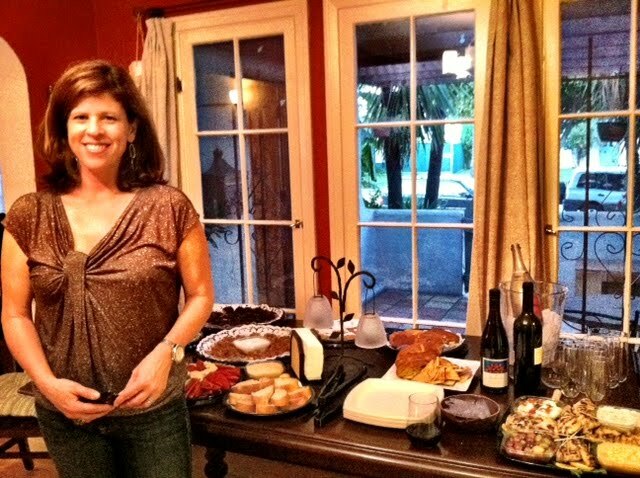 Parents' Night Out: Savor Los Angeles -- Pairings! Talk about a fun L.A. treat. Savor Los Angeles, which kicked off its annual foodie feast last year and was a particularly sweet success, is back again -- this time with a "Pairings" theme. Or, as they're calling it, BFFs (aka Best Friend Foods). Angelenos can get a taste of such culinary combinations as grilled cheese and tomato soup, and caramelized bacon trail mix, on Thursday, June 2 at Siren Studios Orange in Hollywood. The tasting event, organized by creative collective Parallel Lines, will host Los Angeles-based chefs and foodies from Bangers & Smashed, Cast Iron Gourmet, The Farm of Beverly Hills, Malo/Mas Malo Restaurant and more. Ticket holders will be able to sample complimentary items from all of the participants, including sweet and savory food pairings, eco-friendly cocktails from VeeV and other libations, as well as explore a pop-up shop within the Studio space. Music, a photo booth, raffles and gift bags are also on the menu. 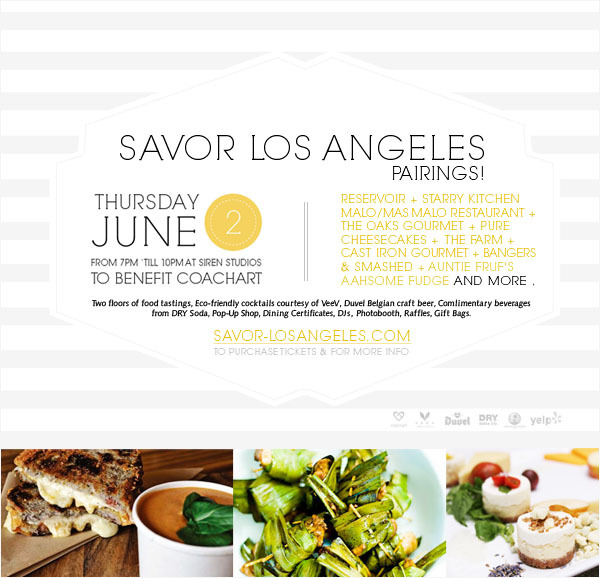 Tickets for Savor Los Angeles -- Pairings! are available at $55 for general admission and $85 for VIP treatment. 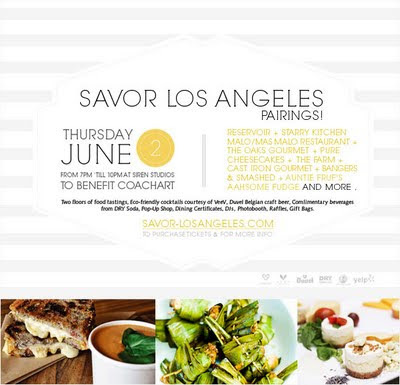 Savor Los Angeles -- Pairings! 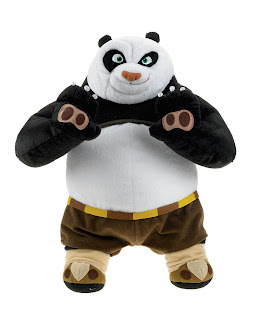 As the billboards say, Po, the cuddly and unlikely hero of dragon warrior fame is "back for seconds" in "Kung Fu Panda 2," hitting theaters May 26. And in this movie's case, seconds is even tastier than firsts. Picking up after the first Panda incarnation, "Kung Fu Panda 2," directed by Jennifer Yuh Nelson and distributed by Paramount Pictures, has the lighthearted Po (voiced by Jack Black) literally stuffing his face with dumplings (something I can totally identify with). When they're not goofing around with tasty treats, he and the Furious Five are training to keep up their skills as protectors of their bustling Chinese village. But it's when Po finds his mentor Shifu (voiced by Dustin Hoffman) alone, trying to master inner peace, that the oversized panda begins his own rocky road to enlightenment. And he'll need it -- and a whole lot of dragon warrior power, too -- when he confronts a ruthless enemy in peacock Lord Shen (voiced with menace by Gary Oldman), who was banished from the kingdom by his own distraught parents after some particularly merciless destruction. This time he's back, and he's brought the big guns -- literally. Lord Shen has found a new, perhaps more powerful weapon than kung fu or even swords and shields. It's a massive cannon, and he's not afraid to use it. But when Po catches a glimpse of this enemy's insignia -- on warrior uniforms and eventually on the peacock himself -- he is transported back to a fuzzy time when he arrived at the doorstep of his adoptive goose father, Mr. Ping (voiced by James Hong). Suddenly questions of where he came from pop up. Audiences also have the pleasure of seeing Baby Po, the adorable infant panda who came to Mr. Ping in a radish crate. Let's just say that the more Po realizes, the more personal his fight against Lord Shen becomes. And he must trust his friends, the Furious Five, and delve into that seemingly impossible task of achieving inner peace. Like I said before, there were tears. Good tears. This film, much more so than its predecessor, touches on really meaningful, heartfelt moments while still being fun and engaging for audiences of all ages. CC wasn't able to go with me to see the sneak peek, but I'll definitely be taking her to see "Kung Fu Panda 2" (and Baby Po!) once it arrives on Thursday. Books and Cookies Opens in Santa Monica! In a world dominated by Amazon.com, it's nice to see a homegrown bookstore have the courage to step up and be counted -- on tiny fingers at that. Welcome, Books and Cookies, a children's bookstore that just set up shop in Santa Monica. 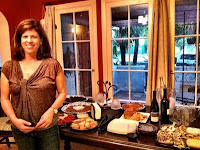 CC and I visited the pre-opening party for Books and Cookies just over a week ago, and we were both very impressed. But, seriously, how can you go wrong with a wealth of readables and yummy snacks to boot? Founded by Chudney Ross (daughter of Diana Ross), Books and Cookies is a stylish and welcoming answer to online ordering or even the few cramped aisles at other local bookstores. Bright white, sunny and wide open, with little nooks (and a teepee!) for exploring, the shop also offers a colorful activity room for parties or enrichment activities, as well as a small cafe. At the party, Ross read "The Very Busy Spider" by Eric Carle and "The Doorbell Rang" by Pat Hutchins during storytime. CC also had the chance to decorate her own cookies and get her face painted by a visiting fairy. We also picked up a couple of books and donated one to a local children's organization. 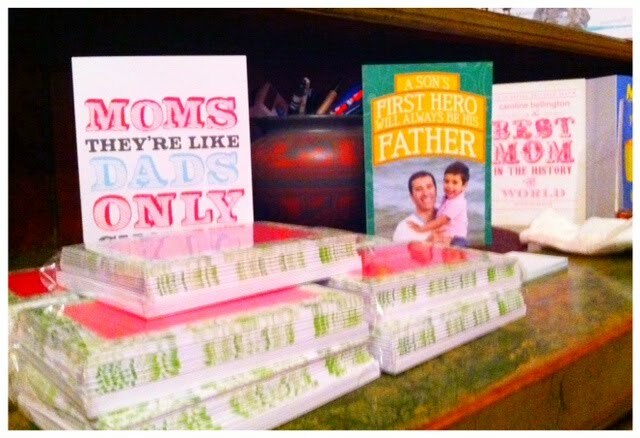 Books and Cookies offers lots to do for little ones, including play groups, storytime and cookie decorating. Ross -- who is also a writer, teacher and TV host -- has the right idea when it comes to a children's bookstore. Books and Cookies is a fun and comfortable place to enjoy just plopping down with a good book. CC and I will definitely be going back. 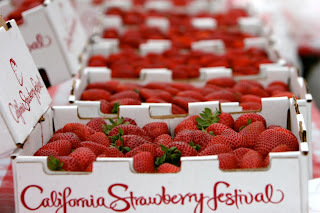 Sunday was all about strawberry goodness, as CC and I drove up the 101 to the California Strawberry Festival in Oxnard. The College Park grounds were packed with visitors -- I clung to CC's hand for dear life -- as well as entertainers, rides and individual booths, which sold everything from strawberry pizza to strawberry champagne. Our first stop? The strawberry shortcake tent. For $5, we received a bowl and an open invitation to pile on as many pound cake slices, strawberries and whipped cream as we could handle. Turns out, we could handle a lot. (See above pic.) 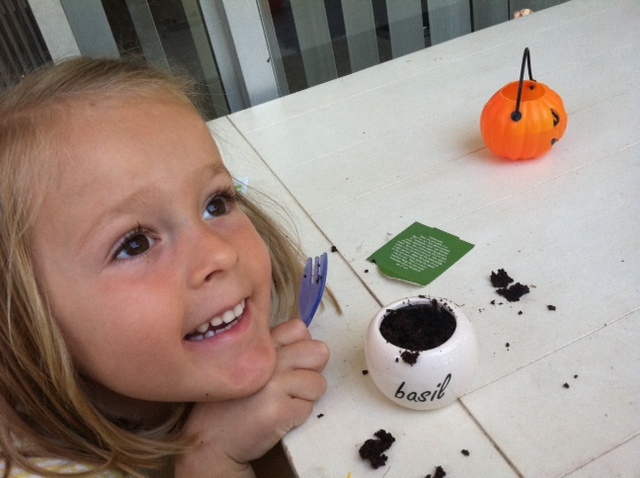 CC and I shared a delicious helping that kept us sated during our visit. Our next stop? The Gull Wings Children's Museum booth/trailer. This kid-friendly museum, which we have yet to visit, is an Oxnard staple that offers children the chance to check out hands-on exhibits. 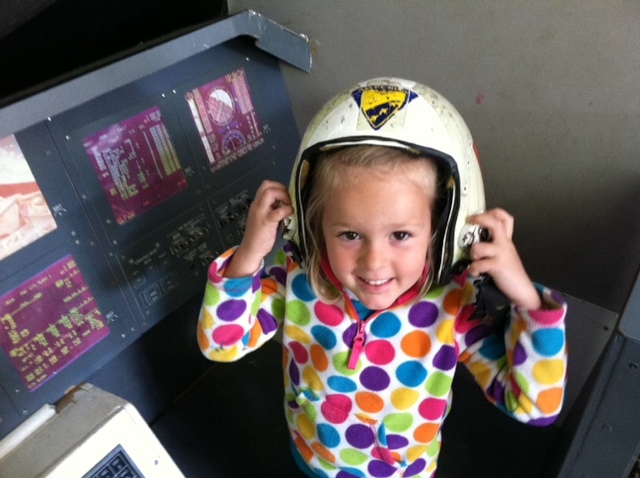 The booth/trailer held items such as an excavation exhibit, a variety of wooden gears and a mock spaceship, where kids could pretend they were headed for the moon. The latter of these kept CC busy for a while. In fact, when I told her we had to go, she said, "But Mommy, I have to go to space." 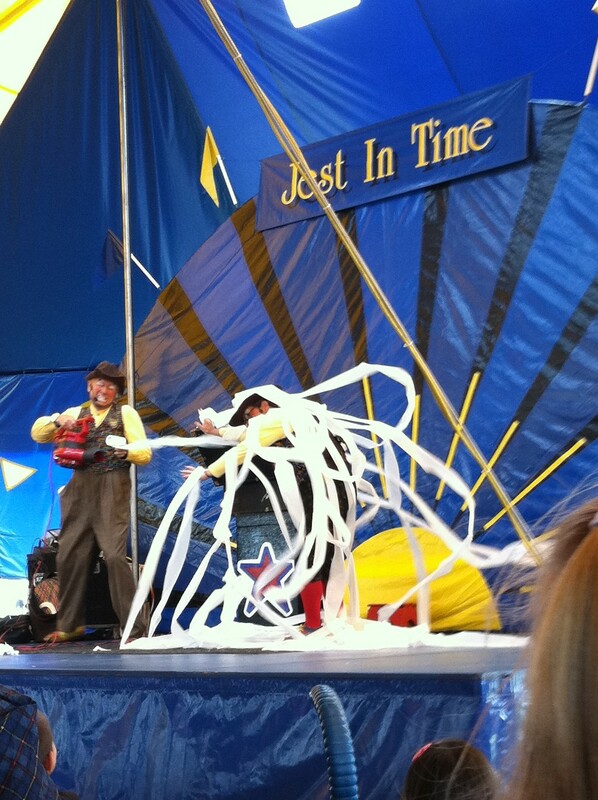 We also got to check out the Jest in Time children's tent, which featured tons of acts, including Circus of Fools -- a husband and wife duo and their rescued dog -- who performed a variety of slapstick-y tricks. Notice the toilet-paper shooters below. That had CC howling in the stands. 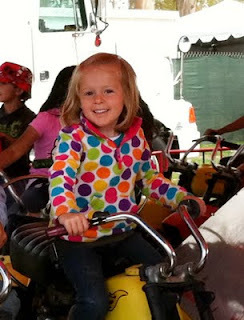 While CC missed out on face-painting -- the line was just too long -- she did get to hop on one ride, a motorcycle no less. We were both tired and ready to make the trek back home. Luckily, this ride near the entrance was almost wait-free. After what I hope will be the closest she comes to riding a real motorcycle (sorry, Daddy), we made our way to the exit -- but not before picking up three generous baskets of fresh strawberries, for a total of $5. Guess what's going in CC's lunchbox this week! UPDATE: Congrats to Vita, who won the Kung Fu Panda Po Wrestler! Please email me at losangelesstory@gmail.com with your address, and I'll send it right away. Thanks so much to everyone who participated, and stay tuned for more giveaways! That's right! 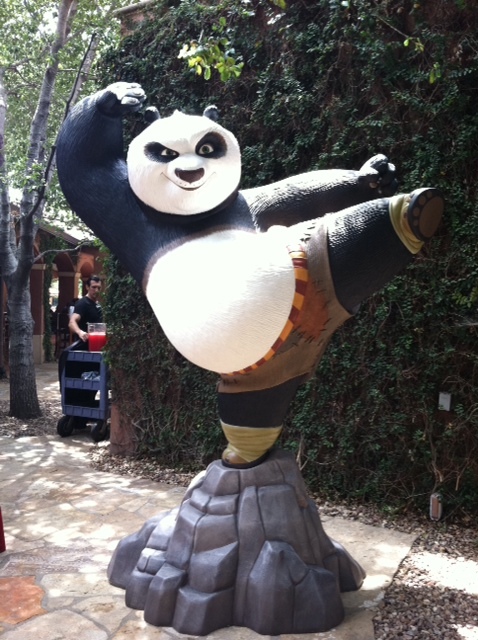 Po is back, and last week I had the awesome opportunity (along with several other mom bloggers and their kiddos) to catch a sneak peek of "Kung Fu Panda 2" at the DreamWorks Animation lot in Glendale. CC was in preschool, and it was ballet day (her favorite day, along with "share day"), so I had to go solo, but I'll definitely be taking her to this adorable, touching (yes, I cried) and heartfelt movie, once it opens on May 26. The event itself was lovely. The DreamWorks campus is nestled into a nondescript street in Glendale but is the picture of laid-back comfort once inside the gates. Ivy crawls up stucco walls, and there's lots of open space for walking, grabbing a Starbucks or just taking a break from all of that animating. During a cozy outdoor lunch after the screening (my review is forthcoming), the moms, kiddos and I also caught a glimpse of the new "Kung Fu Panda 2" toy line from Mattel. Two words: Baby Po! Some of toys are cuddly (right) while others are more action-packed and perfect for imaginative role-playing. DreamWorks was generous enough to include a gift bag with a talking Po action figure and a poseable pack of Po vs. the Wolf Boss. Although CC wasn't able to catch the film's sneak peek, she has enjoyed the talking Po, which spouts phrases like "Panda punch!" and "Skidoosh!" when you press his tummy. Now I'm looking forward to taking her to see him go all kung fu on the big screen! And speaking of toys, I'm giving away one Kung Fu Po Wrestler (above; ARP $29.99). This 15-inch plush toy, for kids ages 3 and up, is both huggable and ready to respond to playmates with fun phrases. Requires 3 AA batteries, included. To enter, please leave a comment telling me your or your child's favorite "Kung Fu Panda 2" character. Good luck, and I will announce the winner (on this post, not a separate one) on Monday, May 30! Spend just $12 for $24 worth of 3D and animated photo cards from Snapily.com and you'll be able to 'Wow' your loved ones with one-of-a-kind products. Great for graduation announcements, summer party invitations and more. These aren't your average store bought cards, and your friends will notice! We are a strawberry-loving household and have been waiting patiently for the next California Strawberry Festival to roll around, and it finally arrives this weekend (May 21-22) at Strawberry Meadows of College Park in Oxnard. Yay! Strawberry pizza, strawberry nachos, chocolate-covered strawberries, strawberry shortcake (the food), Strawberry Shortcake (the red-haired "Berryfest Princess" whom CC adores), strawberry storytime and Strawberryland for Kids. Whew, that's a lot of strawberries. But that's what the annual festival has on offer at this year's berry-loving incarnation. 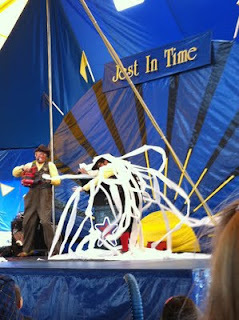 We had a great time last year, with CC making her own shortcake and taking in a lively magic show. Can't wait to see where the fun takes us this weekend. 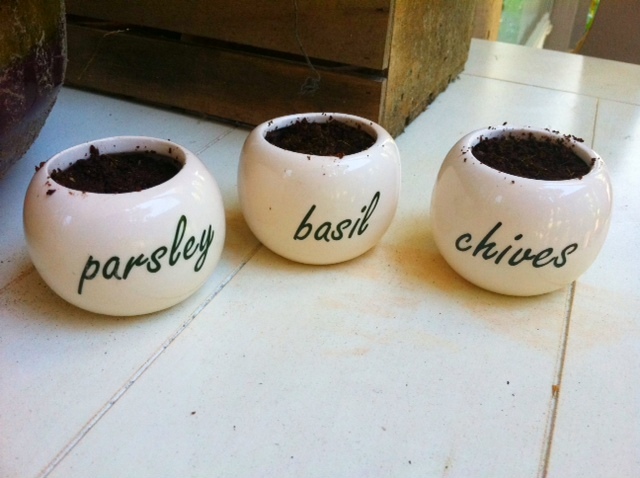 I stumbled across three little herb pots for $1 each at Target -- basil, parsley and chives -- and I couldn't wait to bring them home for CC. The little ceramic containers held a dehydrated soil tablet and a bag of seeds, which made it a fun and easy project for the kiddo and me. Just add water? Done! We haven't had the greatest luck with plants -- I blame myself and my brown thumb -- so cross your fingers that these provide cute, delicious herbs that we can add to summertime dinners at home. Hollywood boasted a totally different allure for the kiddo and me last Thursday, as we ventured into a billowing blue-and-gold tent to catch opening night at Circus Vargas. Clowns, acrobats, motorcyclists and other daredevils all made their way into the ring (and sometimes above it), where they showed off their whirling, twirling and death-defying chops, all to the delight of my little munchkin and the other children in the crowd. This year, Circus Vargas has opted to go animal-free, a commendable decision that tips its top hat to a city that's not shy about its preference for the ethical treatment of animals. That didn't stop CC, though, from asking where the lions were. And I have to say that I was totally OK with lions not being anywhere near me -- especially in a relatively compact tent (and by compact, I mean, it's not the Staples Center, where we would have some chance of escaping if things went sideways). Instead, the show was filled with hula-hooping aerialists (six-plus hoops while airborne! ), a man who balanced a ladder (!) on his chin and another fella who ran along the outside of a giant hamster wheel while blindfolded. The atmosphere was magical and, at times, nail-bitingly tense. Watching Leo Garcia jump rope on a moving contraption 25 feet in the air made me wince (in a good way), but CC's eyes were wide and unblinking. It seemed no animals were necessary after all. We did have to take off a bit early, unfortunately, as it was already getting late before the 7:30 p.m. show ended. And because there is no dedicated parking lot for the show (only street parking, which fills up quickly), I wanted to make sure we weren't getting out too late. That said, CC is already asking me when we can go back. For those who would still like to check it out, Circus Vargas will be in Hollywood (Sunset Boulevard and the 101 Freeway) through Monday, May 16, before it travels to Westminster, Santa Ana and Irvine. Click here for tickets. Experience the exhilaration of breathing under water and total weightlessness with a Discover SCUBA Pool Experience from Ocean Adventures. Learn to dive in their state of the art pool under the watchful eyes of knowledgeable, certified instructors. Your session includes equipment fitting and a lesson on basic SCUBA concepts and skills. You'll be ready for an ocean adventure of your own in now time. Great for the family and kids 10+. 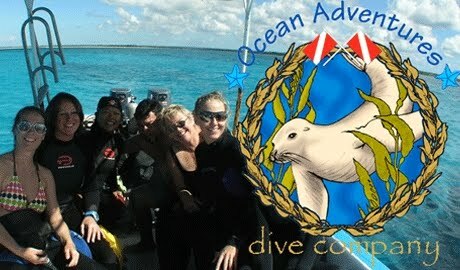 Ocean Adventures Dive Co. is a full service diving facility offering basic SCUBA and specialty diving instruction from beginner to dive professional. The typical day starts with equipment fitting, dive pool training, then a trip to the kelp forests off of Catalina Island. While this voucher is only good for the Discover SCUBA Dive Pool Experience, many go on to become seasoned divers and participate in many of Ocean Adventure's day trips. Because Ocean Adventure is also a dive shop, you can rent or buy your equipment all in one place. With a minimum age of 10 years old, the whole family can participate in this unforgettable summer outing. 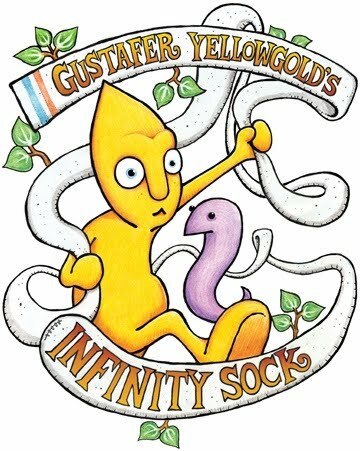 CC's favorite yellow, cone-headed creature from the sun, Gustafer Yellowgold, will be landing at McCabe's Guitar Shop in Santa Monica on Sunday, May 15 at 11 a.m.
She's been waiting more than a year for another multimedia song fest from Gustafer Yellowgold creator/songwriter Morgan Taylor. CC had a fabulous time last year, crooning to the mellow-yellow tunes. This year's performance, featuring music from new CD/DVD "Infinity Sock," will be the first show to have a story line, unlike previous performances that featured a grab bag of little vignette-focused songs -- kind of like short stories set to music. 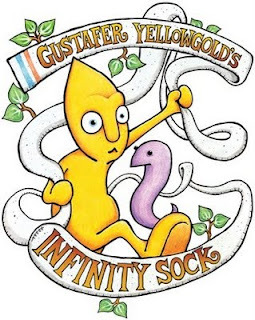 For those of you who don't know Gustafer, he is a mild-mannered creature who left the sun in search of cooler climes, ultimately landing in the chilly Minnesota, where he befriended a pterodactyl named Forrest Applecrumbie and an eel named Slim. While Gustafer himself doesn't talk, Taylor expresses his thoughtfulness and curiosity through catchy songs that explore friendship, loss and the new world around him. Sunday, May 15; 11 a.m.
You might remember a certain kid-friendly Los Angeles Chamber Orchestra performance we attended, complete with enthusiastic musicians and an instrument petting zoo. Well, at the post-performance Q&A, CC had a question that went unanswered due to so many pint-sized hands in the air (which was so great to see, btw) -- a question I mentioned here on L.A. Story. 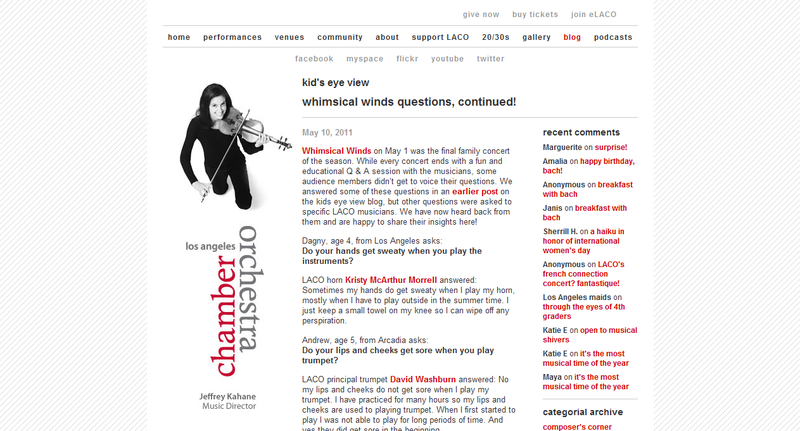 I want to send out a special thank-you to Marcella Dover and the Los Angeles Chamber Orchestra for reading my post and then answering her question on their blog. CC was thrilled! 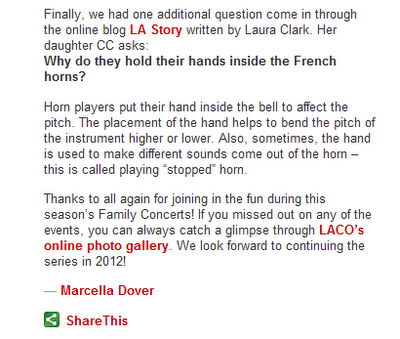 So below is the answer to the burning French horn question. For answers to more orchestra-related queries, please visit www.laco.org/blog. CC cozies up to Buddy from "Dinosaur Train," on PBS SoCal. It was a sunny afternoon filled with trains, pteranodons and T-Rexes -- well, one cute orange one in particular -- as The Jim Henson Company show "Dinosaur Train" pulled into Los Angeles Live Steamers Railroad Museum for National Train Day. 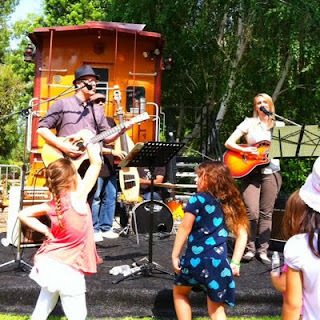 Kids of all ages hopped on board miniature locomotives that circled a scenic track, lined with ghost towns, a water mill, graveyards and old-fashioned BBQ stands. 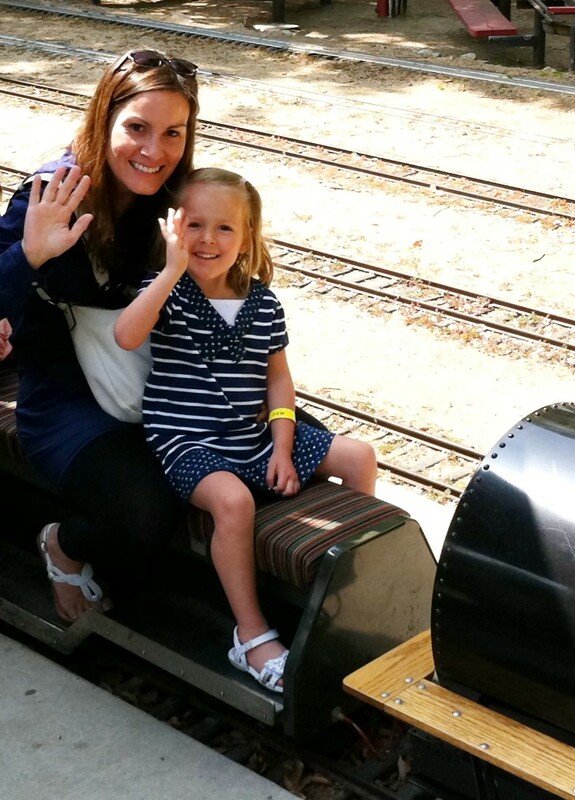 CC was all about the little train, which was just her size, and picked a seat right up front. CC and I ride the rails. In addition to train rides and dino snacks, the kiddos also could have their photo taken with an adorable Buddy the T-Rex (pleasantly small -- a great idea considering some children can be scared of costumed characters, particularly ones that resemble, well, a terrifying dinosaur). "Dinosaur Train" creator Craig Bartlett, left, entertains the pint-sized crowd. This was such a genius idea to pair the kids' show with a family-friendly Los Angeles landmark -- on a holiday celebrating the iron horses, no less. Engineer hats off to "Dinosaur Train," The Jim Henson Company and PBS SoCal! Yesterday, the three of us took a trip downtown to Angelique Cafe, a quaint French bistro almost completely hidden by delightfully plentiful plants and flowers that sits on a triangle of land where Spring and Main streets meet. We grabbed a table upstairs, which was light and airy and opened out onto a small balcony, where you could sit and enjoy the sun and the various and sundry characters (a clown, a mermaid, just to name two) who were strolling the gritty streets. After several visitors finished their Croque Monsieurs (or would that be Croque Messieurs?) and salads, we had the whole top floor to ourselves, and CC decided to use it as her personal ballet studio. I'm so glad I was able to capture this moment in the above video. It was spontaneous, beautiful and completely unselfconscious. Whatever music was playing overhead seemed to know that, too. And a very Happy Mother's Day to all the moms and grandmothers out there! 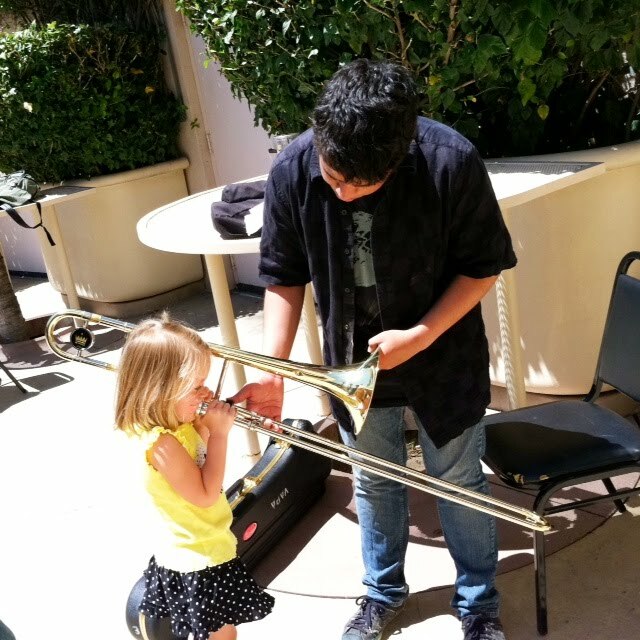 CC's love of music hit a high note last Sunday, when she got the chance to play a trombone at an Instrument "Petting Zoo," courtesy of the Los Angeles Chamber Orchestra. 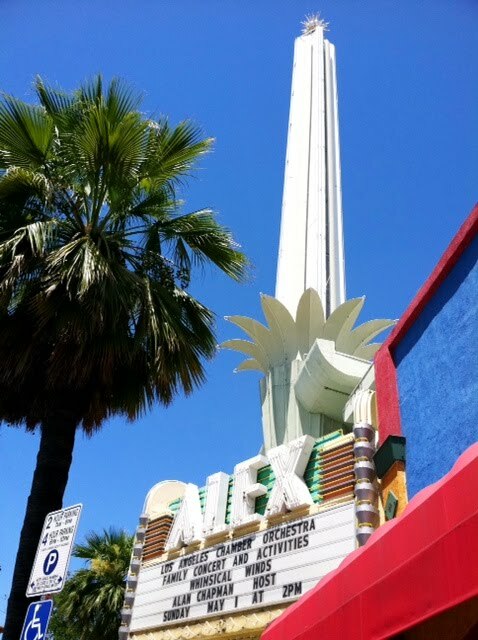 The orchestra's family concert series, held for the past 16 years at the Alex Theatre (right) in Glendale, gives kiddos the chance to sample flutes, trombones, violins and cellos before they get a taste of what the professionals can do on stage. 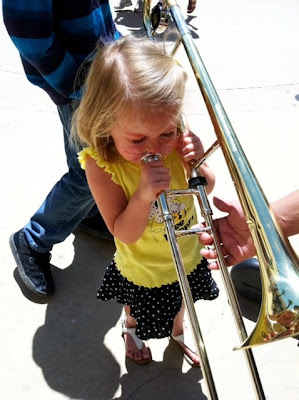 Only part of the fun hourlong concert pre-show, the Instrument Petting Zoo was packed with little ones eager to toot their own horns, literally. Kidspace Children's Museum and the California Science Center also offered fun activities, such as wind-powered painting and DNA-building, respectively. CC waited in line patiently, eager to get her hands on some pipes, or strings, or anything that would make music. Once we got to the trombone, she was thrilled. It took a few puffs for her to produce any sound at all, but once she got it, it was showtime. Soon after that, it was time to go inside for "Whimsical Winds," the live LACO performance hosted by the endearingly funny Alan Chapman, who also has a weekday radio show on Classical KUSC. The family-filled audience listened as clarinetist Joshua Ranz led a sextet of French horns, bassoons and another clarinetist in a selection from Beethoven. The musicians were lighthearted and kid-friendly, playing music that resembled animal sounds (horses! birds! and one mistaken for an elephant, which became a running joke) and explaining in child-accessible terms how each of the instruments worked. They seemed to be really enjoying themselves up there. There was even a piece titled "Octoot" (a play on "octet") from the fictitious composer PDQ Bach (aka Peter Schickele) that had the kids giggling in their seats. It's amazing what music -- and funny noises from instruments -- can do. At just under an hour, the performance was very much attuned (ha!) to the realities of children's attention spans. It was manageable and broken up into well-timed samples from Anthony Plog, Poulenc, in addition to Beethoven and the silly PDQ. A Q&A with the musicians capped off a fun-filled afternoon. The questions ranged from "How long have you been playing together?" to "Why does your face get red when you play?" which elicited the most laughter. CC didn't get her question in, unfortunately, but I was happy to hear what she was going to ask. 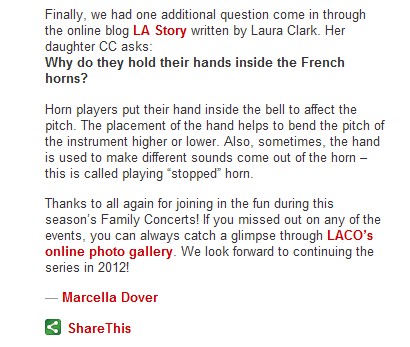 "Why do they hold their hands inside the French horns?" she asked, referring to the musicians who were doing just that. Good question, kiddo-- one that I couldn't answer. Luckily, Chapman said that anyone who had a question that didn't get answered could email info@laco.org. While "Whimsical Winds" marked the third and final performance in the 2011 series, stay tuned for more information about 2012. As a mom, I get anxious. A lot. It's so funny, because I wasn't always like that. Now, I can barely take a shower without worrying that CC has somehow fallen and can't get up. 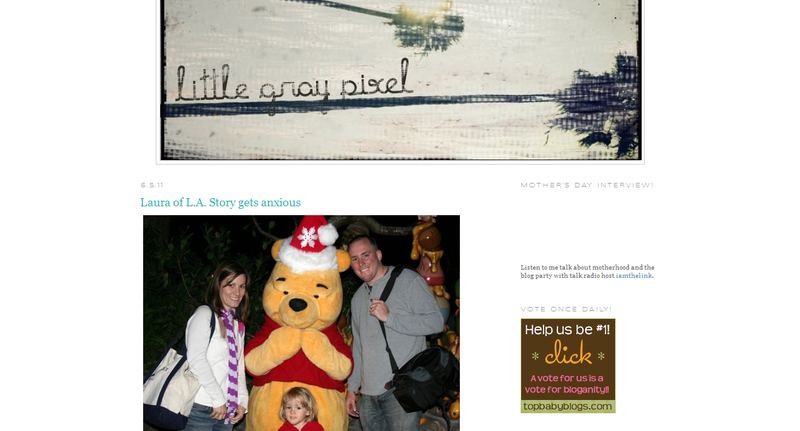 Please check out my pre-Mother's Day guest post on Little Gray Pixel, "Laura of L.A. Story gets anxious." Not that I'm trying to hint at anything (ahem), but there are a ton of fun things going on in Los Angeles this Mother's Day, starting with local design/food/mom blogger justJENN's party at Royal/T in Culver City from 10 a.m.-3 p.m. Families are welcome to indulge in a High Tea Set ($20), complete with Jenn's milk tea cupcakes, and kids can show off their artsy side at a complimentary craft table. 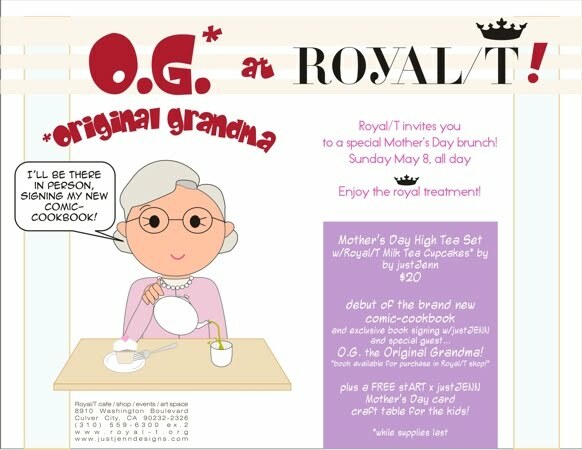 You'll also get a chance to meet O.G., aka Jenn's "original grandma" and star of many blog posts, at the event. Reservations recommended. Again, not that I'm trying to hint at anything (ahem, ahem), the lovely and delicious Magnolia Bakery has added a mom-friendly flourish to their vanilla buttercream cupcakes. These amazing-looking treats have been rolled in sanding sugar, nonpareils, with an edible image of vintage moms placed on top. 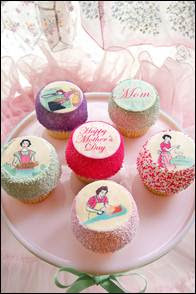 One bakery box with all six designs is $28.50, while a single mom-friendly cupcake with a ribbon-tied gift box is $6. Because giving is always better than receiving, moms (and dads and kids) can help out other moms who are in desperate need of diapers for their little ones. On Saturday, May 7, from 11 a.m.-4 p.m., all five Fresh Brothers locations (Marina del Rey, Manhattan Beach, Calabasas, Westlake Village and Redondo Beach) will be taking diaper and cash donations to benefit Los Angeles area partner agencies of Help A Mother Out, an organization dedicated to increasing access to diapers for families in need. And for every case of diapers or $20+ donated at the event, Fresh Brothers will thank donors with a gift certificate for a free one-topping personal pizza. If Mom feels more like a whimsical outdoor performance to celebrate her special day, The Will Geer Theatricum Botanicum in Topanga is presenting Lexi Pearl's "Momentum Place" on Sunday, May 8, from 2 p.m.-4 p.m. 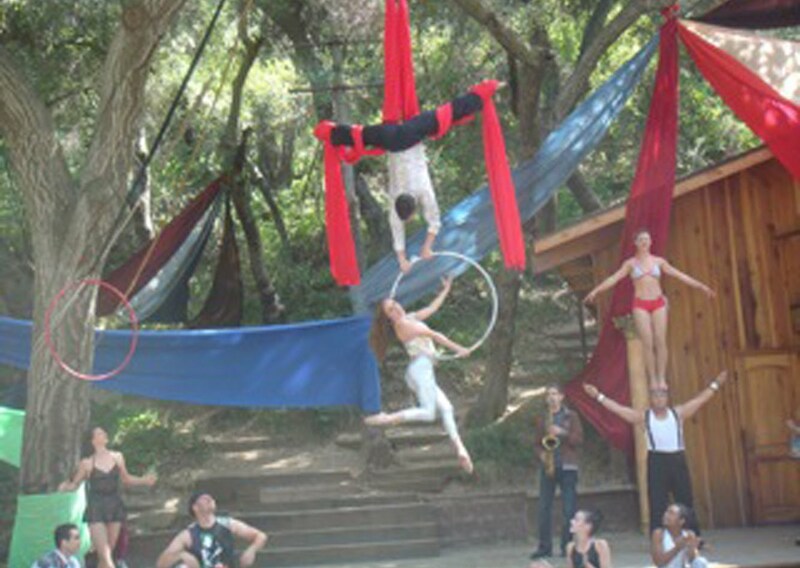 The live show features aerialists, circus performers, dancers and musicians. There's also an optional brunch ($20 per person) available from Bon Melange before the performance. While not exactly Mother's Day-specific, the annual Santa Monica Festival is still a place where families can have lots of fun together. Moms, Dads and the kiddos can indulge in a wealth of yummy local cuisine from food trucks such as Border Grill, Crepe'n Around and Gastrobus, before making DIY crafts from recycled materials, all while listening to live music from Ozokidz (the kid-friendly version of band Ozomatli) and The Americans. Whatever you choose to do this weekend, celebrate Mom, and have a wonderful time doing it! Last week, in the hours before Prince William and Kate Middleton (or rather, the Duke and Duchess of Cambridge) strolled down a red-carpeted aisle at Westminster Abbey in London, a few moms in West L.A. were enjoying some festivities of their own, thanks to blogger Yvonne Condes from Yvonne in LA and Tiny Prints. Yvonne (left) hosted a lovely party at her home -- complete with Clementine-catered eats, manicures from Unwind Mobile Spa and chair massages by Lisa Robert from Urban Body Rescue -- to showcase Tiny Prints stationery just in time for Mother's Day. During her presentation, after we moms chatted about charter schools vs. public schools and our kids' latest antics, Yvonne showed us how we could customize all sorts of creative cards and invitations all from the comfort of our computers. It's pretty cool, actually. On its website, Tiny Prints offers lots of templates for all kinds of occasions that you can personalize with your own text and photos. Not only that, but they can actually mail it out, too. What a treat for busy moms! 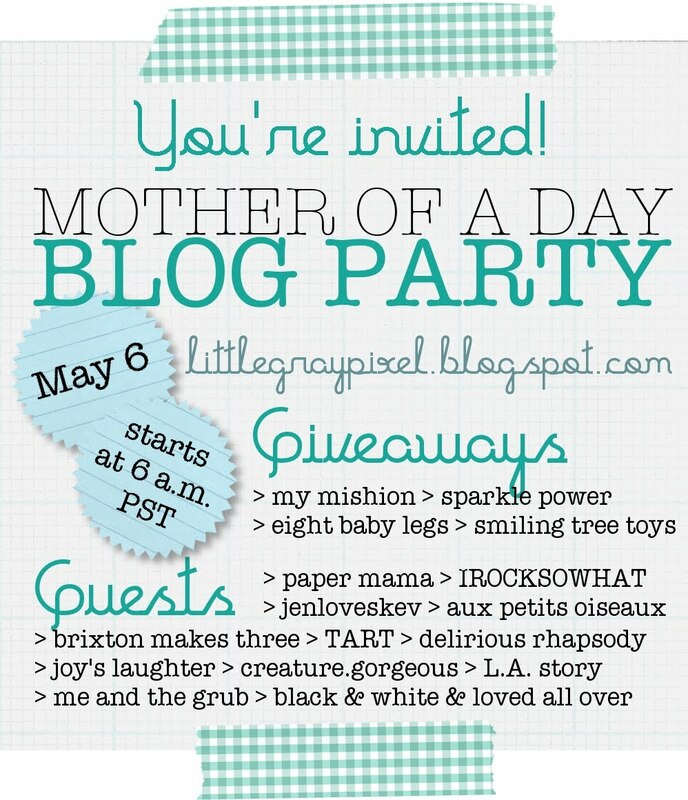 Mother's Day Blog Party at Little Gray Pixel! 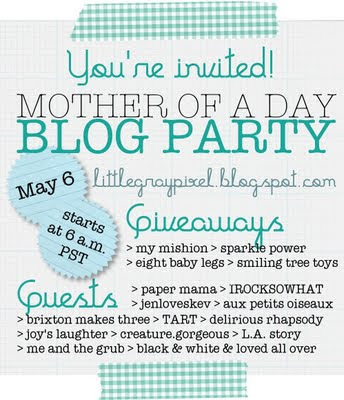 My friend and fellow mom Vanessa over at Little Gray Pixel is throwing a fab Mother's Day blog party on Friday, May 6, and yours truly will be making a bloggy appearance at 10 a.m. on her site. Vanessa rounded up a bevy of mom bloggers to muse on the challenges and funny moments of motherhood, and she'll be showcasing each guest blog post every hour from 6 a.m.-10 p.m.
More big news?! There will also be awesome giveaways for a handbag and posters! Stop by and check it out! You'll also be able to see Vanessa's amazing designs and her adorable new daughter, Alexa. 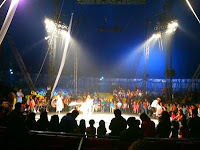 Giveaway: Circus Vargas Comes to Hollywood! UPDATE: Congrats to ! (aka James) and Kirstin, who won the Family Four Pack of tickets to see Circus Vargas! Thanks so much for participating. 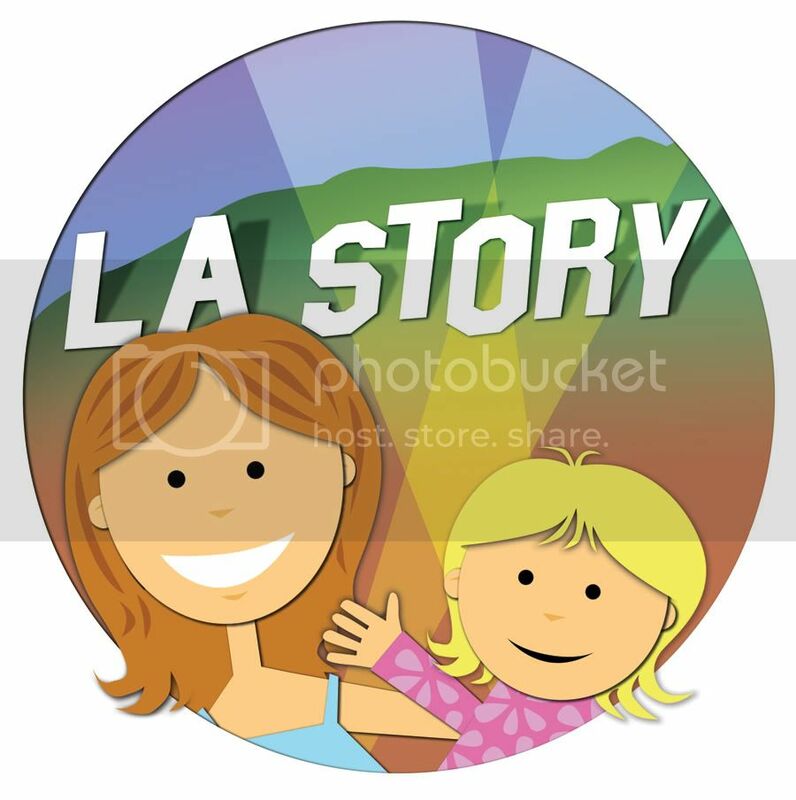 Please email at losangelesstory@gmail.com with the date you would like to attend. Circus Vargas is coming back to town May 12-16, and this time the company will pitch its blue-and-gold tent in Hollywood. I'm excited to take CC to see the show, which somehow eluded us when it was in Culver City last year. I'm also excited because I'm giving away 2 sets of Family Four Packs (see info below) to Circus Vargas, so L.A. Story readers can have a chance to enjoy the juggling, acrobatics and aerialists as well. You might recognize that mysterious-looking tent from a movie that's currently in theaters, starring Reese Witherspoon and Robert Pattinson. Yes, Circus Vargas gets its big-screen close-up in "Water for Elephants." One big difference, however, between the movie and the new 2011 show from Tabares Entertainment that's coming to the intersection of the 101 Freeway and Sunset Boulevard is that the Hollywood show will be completely animal-free. "Circus Vargas has a rich tradition of performing animals," says owner Katya Quiroga. "We appreciate that some people really like seeing animals in the circus, but every year Circus Vargas evolves and the artistic direction sometimes changes." Instead, the 2011 Circus Vargas performance will take the audience "on an artistic journey encompassing the cultures of the world in a series of vignettes depicting the experiences, memories, and visions of a traveling circus performer," according to a press release. Performers will include aerialists, acrobats and comedians. 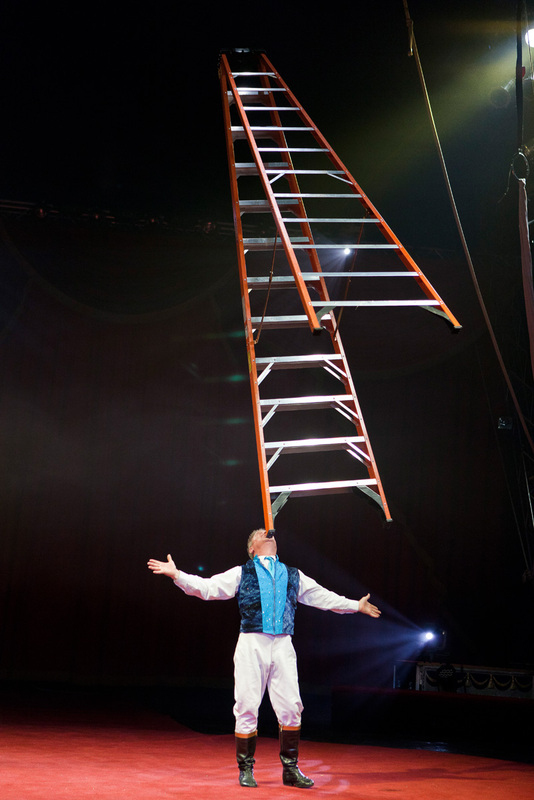 At the half-hour pre-show, hosted by Jon Weiss, families will have the chance to venture into the ring to get a "crash course" in circus skills, such as juggling, feather-balancing and hula-hooping. 101 Freeway & Sunset Blvd. Good luck, and I will announce the winner (on this post, not a separate one) on Monday, May 9! CC checks out shelves of books at the Los Angeles Times Festival of Books. 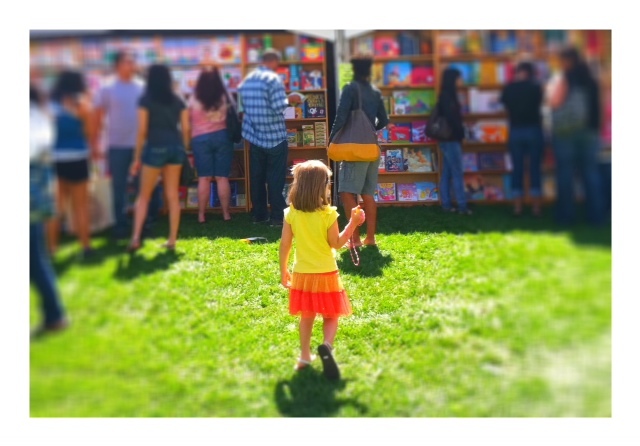 CC and I are big fans of the Los Angeles Times Festival of Books, an annual two-day event that showcases authors, performers and, of course, the written word. This year, we had the opportunity to peruse the fest at its new USC location, which also happens to be my old grad-school stomping grounds. It was fun to be back on campus and to see various quads transformed into welcoming, white-tented havens for readers young and old. 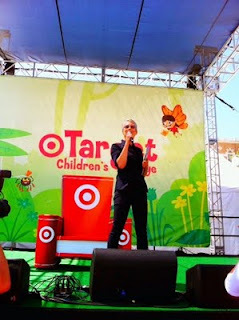 While we explored the various booths, we spent most of our time near the Target Children's Stage, which hosted writers and performers such as Jamie Lee Curtis, Mallory Lewis and Lamb Chop, and local author Dallas Clayton, who took children's entertainment to a whole new level, literally. Clayton -- and his almost 8-year-old son, Audio -- took the stage to read from his first children's work, "An Awesome Book!," about the importance of dreams. Out of all the child-friendly topics, Clayton chose dreams because, as he told me backstage, "Everybody in the world has a relationship with dreams regardless of age or race or color or size or whatever your social dynamic." He was also inspired by his son, who serves as a "test audience" for his work. "When I was writing for him," Clayton said, "I was just fascinated by the fact that he dreamed at all at such a young age. When he was asleep, I was like, what a crazy concept that is and that all of these things are going on in his brain when he's not even aware of it." After the success of his first book, Clayton decided to not only write more but also to reach out to children by giving away one book for every book that's purchased. Which also inspired his second book, "An Awesome Book of Thanks!" "Though it's important to have these big, fantastic dreams," Clayton said, "it's also important to be thankful for all the small things that happen along the way." 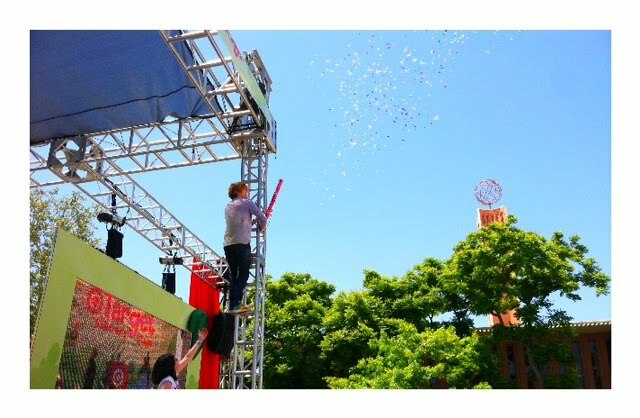 But it was the festival audience who was thankful on Saturday, when he and Audio passed out books and shot confetti canons into the air. "I didn't get into this to be an author," Clayton mused. "I got into it to share with people. That's what inspires me." "It doesn't end with a book, it's not just the written word on a page," he added. "It's the idea of moving among people, communicating, and sharing." We also had the chance to chat up young actors Jordana Beatty and Parris Mosteller from the upcoming movie "Judy Moody and the NOT Bummer Summer," about a third-grade girl who sets out to have an amazing summer despite being stuck at home with her little brother, Stink, and her visiting Aunt Opal (played by Heather Graham). The movie hits theaters June 10 and is based on the books by Megan McDonald. And when I say "we," I really mean "we." CC wanted to do some interviewing herself -- which you can see on the above video. Frustrating but also adorable. She must have asked poor Parris at least 15 times what his name was. It kinda became a running joke. It was a fun afternoon talking books and movies with kids and kid-friendly adults. 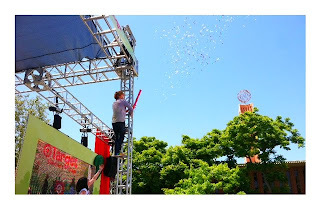 As Jenna Reck, a spokesperson for the festival's presenting sponsor Target, told me backstage, it was all about putting kids and reading first. In fact, the company will be donating a staggering $1 billion to education by the end of 2015. 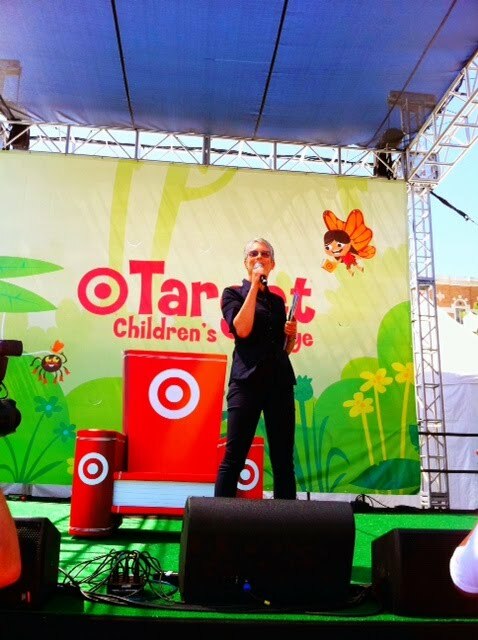 "Target's presence as the presenting sponsor at today's festival is just one of the examples of how we're giving back to education," she said, "and bringing children and bringing parents together to celebrate the love of reading."